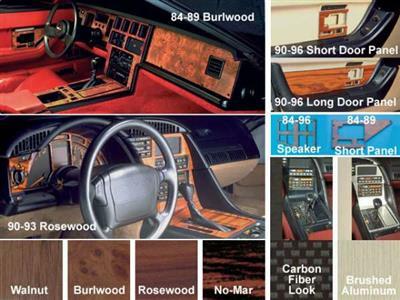 Genuine wood dash kits are available in 2 wood choices--Burlwood, Rosewood. Each dash kit is crafted from a single piece of wood so grain pattern and color is consistent from one piece to another. Wood is laminated to a temperature stable core material to eliminate warping, and then finished with a high gloss, scratch resistant epoxy coating. All dashes are computer machined for a perfect fit and install over your existing dash with hardware and adhesive included with each kit.